Scott Fulton, who writes for The New Stack covering Docker, in particular, joined as the co-host for the show. For more episodes, check out the podcast section of The New Stack. The DramaFever team discussed how they were having issues getting a build into production. They needed a solution that was going to be identical on dev servers as it would be in production. Docker stood out. They knew it would be risky, seeing it was version 0.6, but they knew they had a fall back to Linux containers. Before they started using Docker, it could take a full day or more to get a developer up to speed. Today they can get a new developer up and running before lunch on their first day at work. The DramaFever team is looking now for service discovery tools. There are lots of new tools, but it is difficult to know which ones are right for the use case. Some of the stuff that really stood out was the Mesos and Marathon pairing that Walt Disney showed at DockerCon in the advanced technology track. Currently, DramaFever maps one container to one host. That’s one of the things they want to change. That will mean a more sophisticated orchestration environment. But what about RunC, which was announced at the show as a universal format and run time? Does that have an impact? Not directly. It will allow the ecosystem to mature a lot more than it is now, but the developer tool makers are far more affected than the “plumbers,” a term Solomon used to describe the people managing operation. But it could widen the area of people who will be contributors. DramaFever uses Ubuntu Linux on AWS. It has a legacy monolithic Django app, but has been pulling pieces from it to make microservices written in Go. They also use AWS to manage storage and caching for persistence layers. They auto-scale up and down aggressively with traffic patterns. The application runs in a predominantly stateless manner. On AWS, elastic container service is interesting as a prototype. It did not seem mature enough at the launch. They have made changes since then, so it is getting better. It is a potential candidate for DramaFever, as it looks deeper at what management environment they build with Docker. Another note: AWS is not transparent in what they mean by certain terminology, such as what is “high” or “moderate,” or in terms of comparing performance. It can take some fiddling to find out how things work. DramaFever has added other tools after having Docker in production. They added Chef to define images, like what Disney is doing. You have to have control of the host substrate to know what is happening outside the container. They are taking notice of tools, such as what Hashicorp offers. Then there is Mesos and Marathon types of offerings. Docker Machine and Docker Swarm are interesting together to bridge the gap between provisioning and host, Cobb said. That could mean taking Compose,with appropriate scaling, and applying it with an EC2 provisioner for Machine. For DramaFever that could be a powerful combination. DramaFever would then not have to use Boot2Docker as it does now. That would remove some friction for launching their own instances in EC2, and would be well suited to the frontend developer. Instead of using fab commands to launch EC2 instances, they would use Docker Machine. Scott and I concluded the show with some discussions about Docker opening the container format and what it means for the market. Docker has done some big things by settling some arguments, cementing its own foundation in the market, Scott said. Its DNA is now everywhere. One of the most telling examples is evident in how the architecture is evolving. 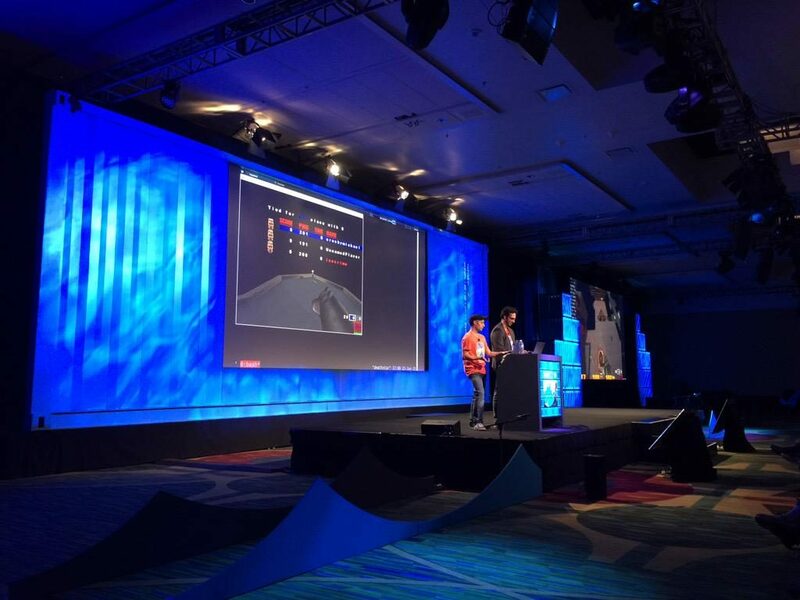 RunC will bring a new intelligence to containers, as seen in the live migration capabilities that the Quake demo showed, Scott said. RunC is the big architecture news of the conference. Feature image via @professoruss on Twitter.